Mercedes-Benz 560 SL (R107), year 1989. 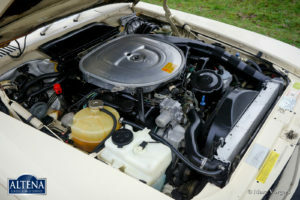 Chassis number: WDBBA48D2KA1040XX. 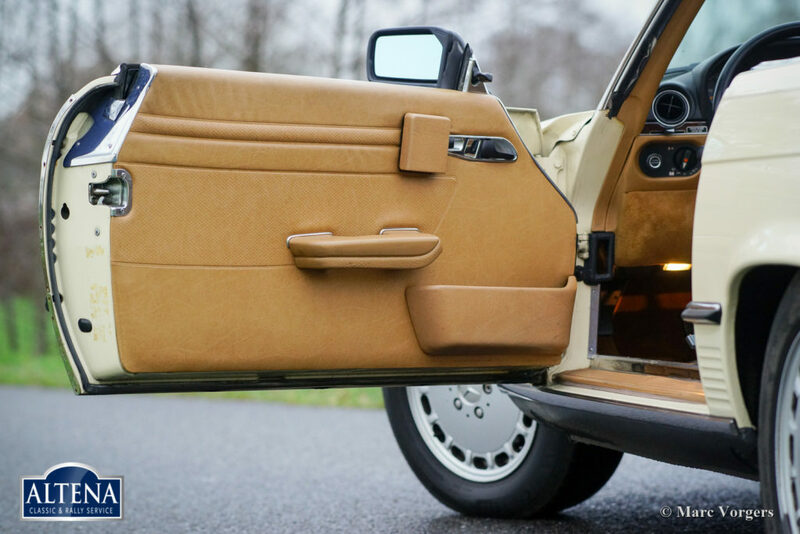 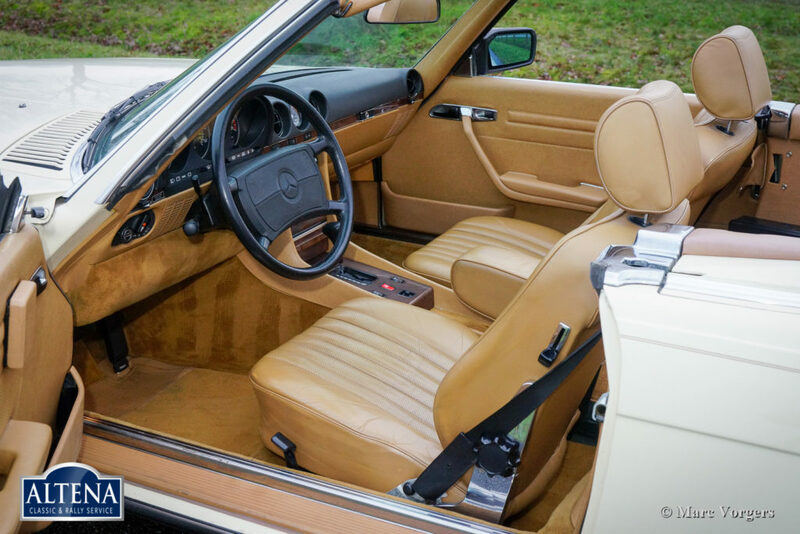 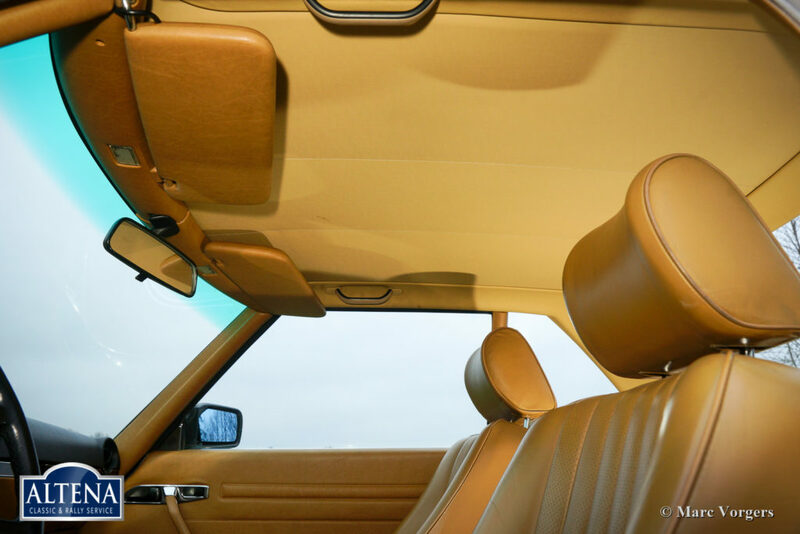 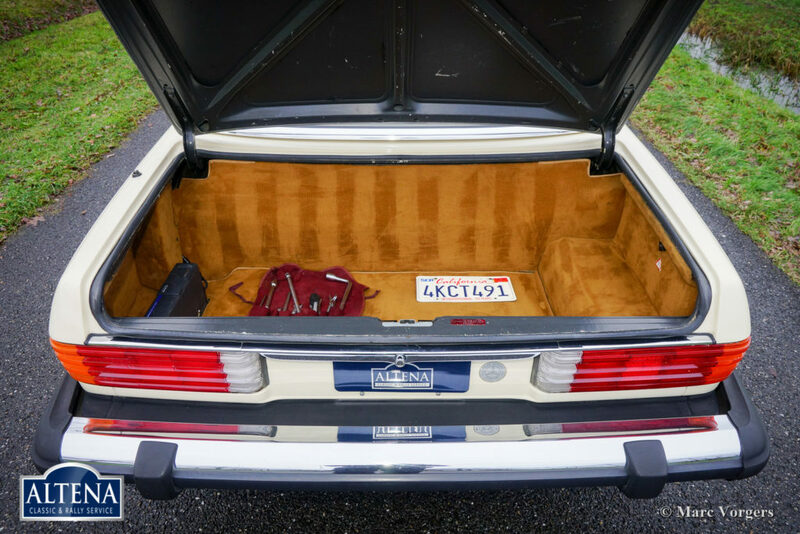 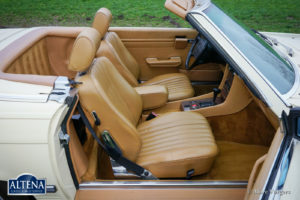 Colour Ivory white with a beige leather interior and beige carpet. 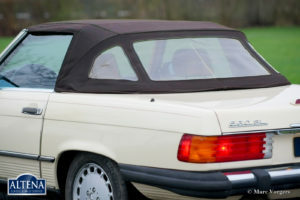 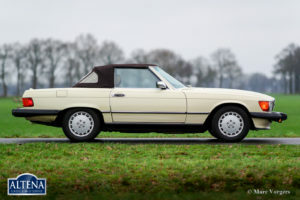 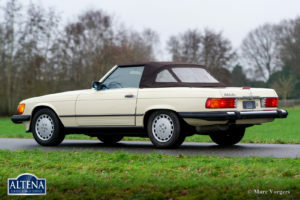 Original hard-top in body colour and a dark brown soft-top. This wonderful Mercedes-Benz 560 SL was recently imported from sunny California in the USA. 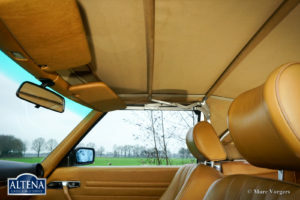 The automobile is in an excellent original condition and the car drives perfectly! 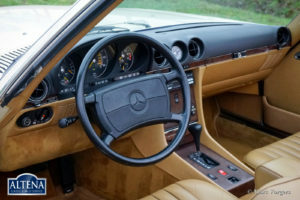 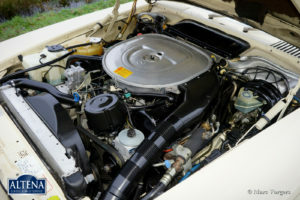 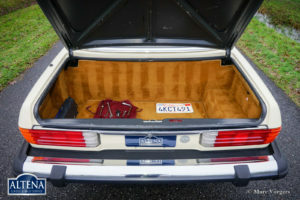 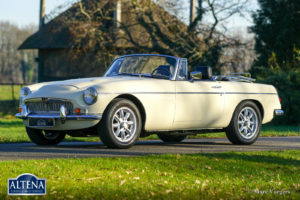 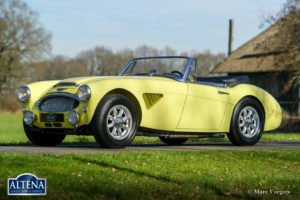 The car shows all the original US-details and specifications. 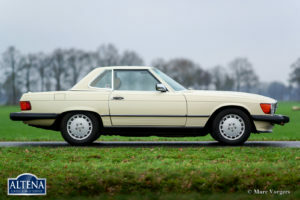 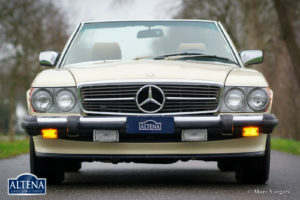 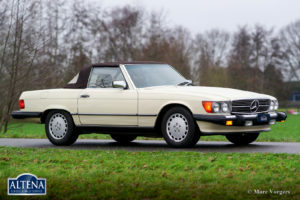 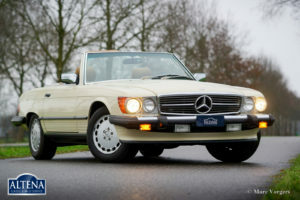 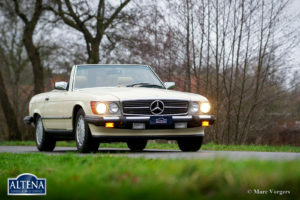 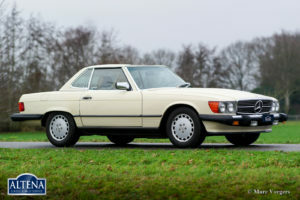 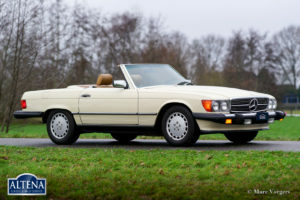 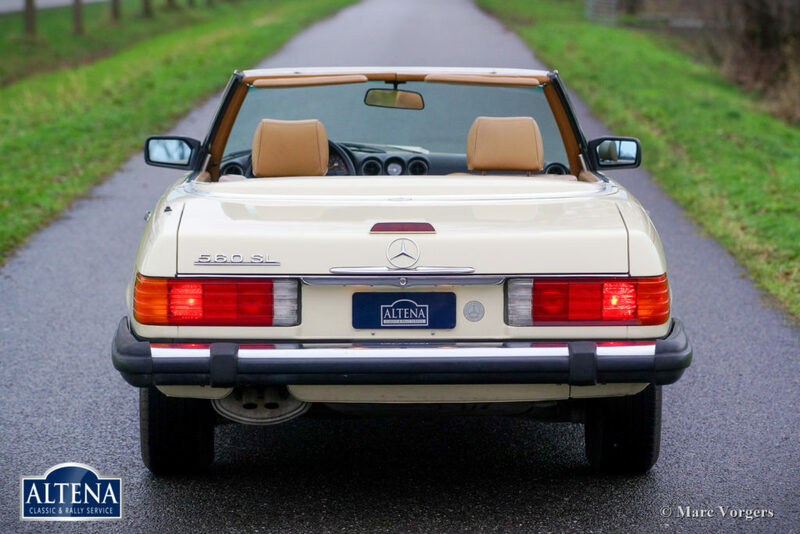 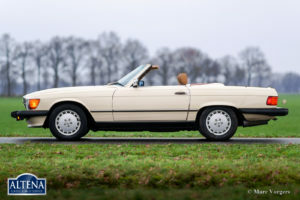 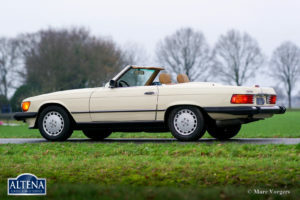 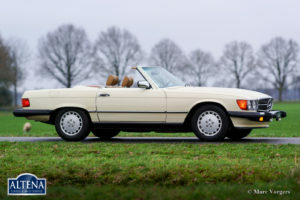 From new this fine Mercedes SL has driven 144.601 miles; the service history is complete and fully documented (Carfax). 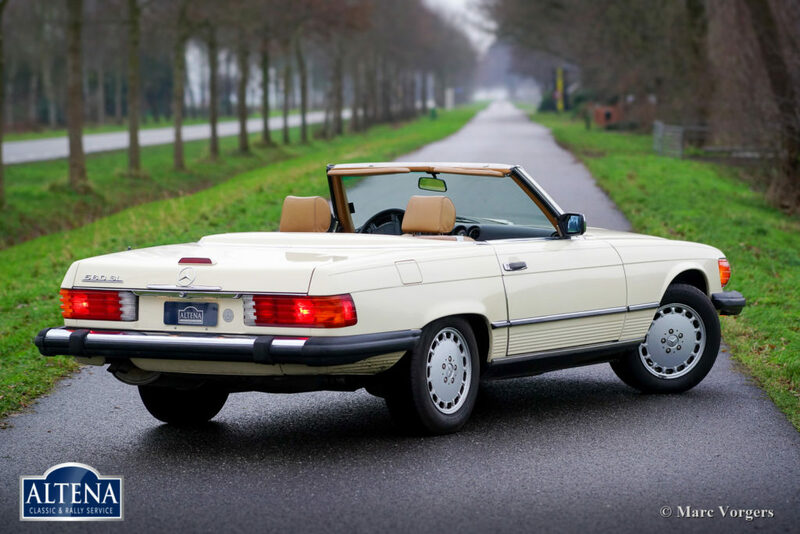 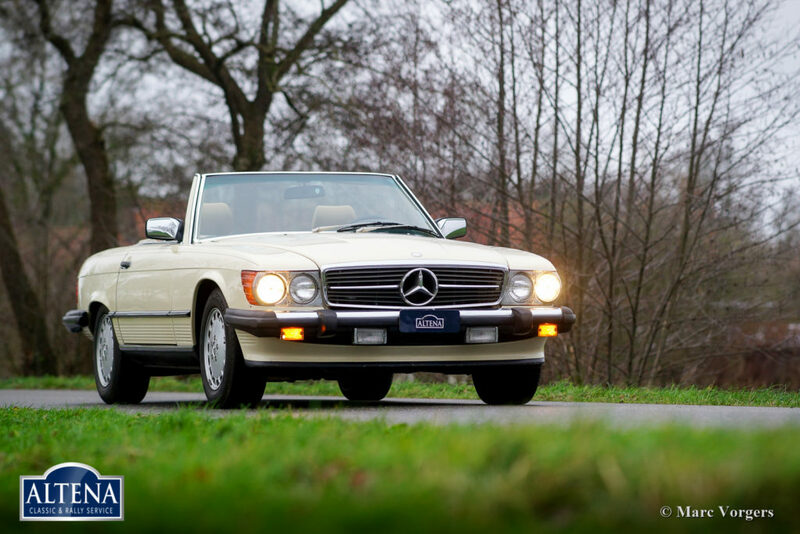 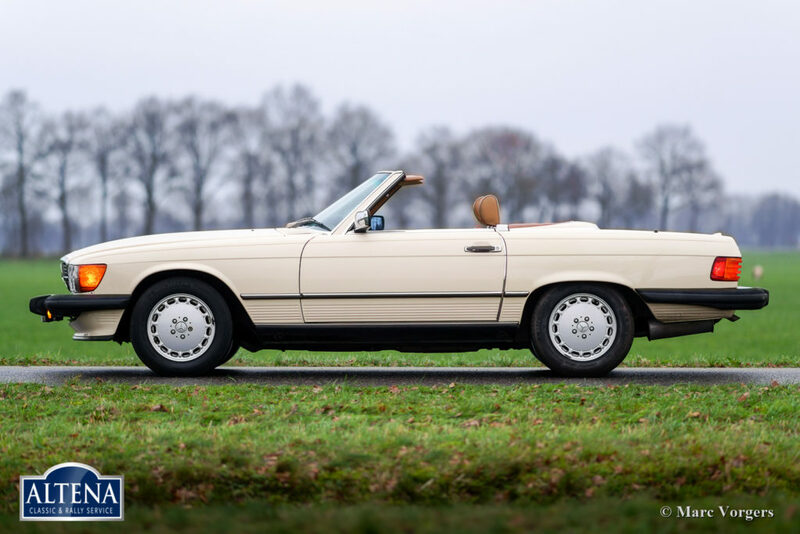 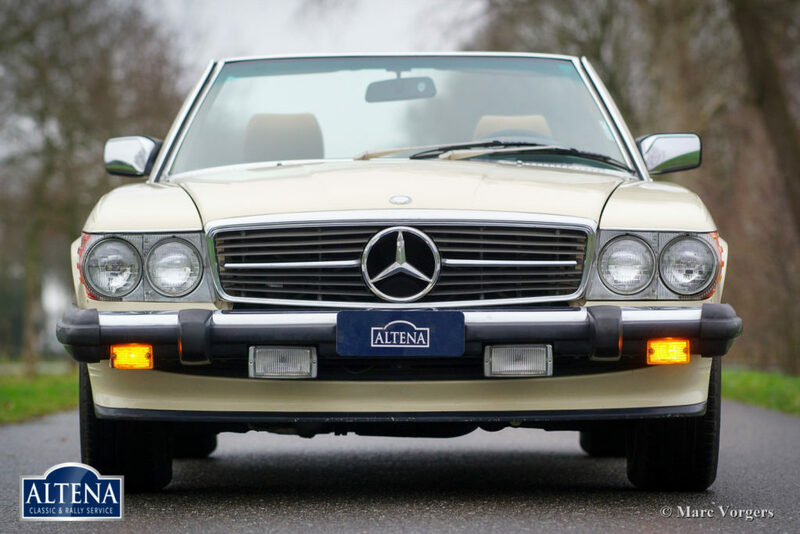 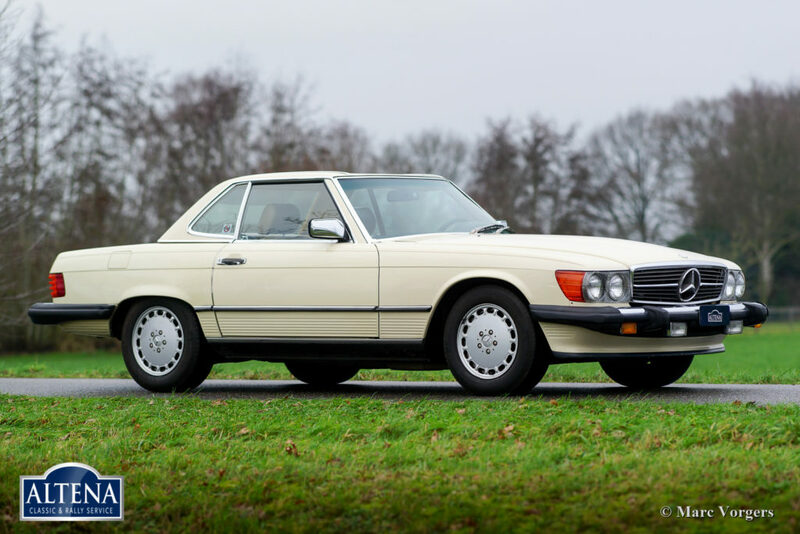 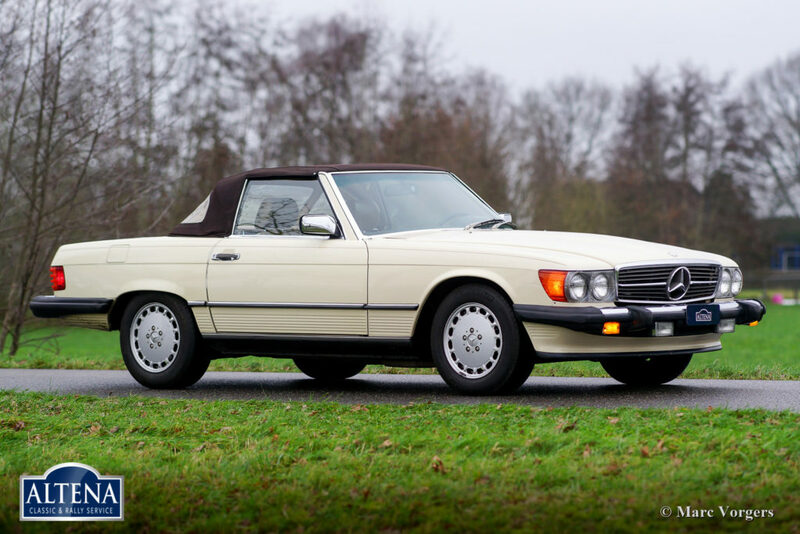 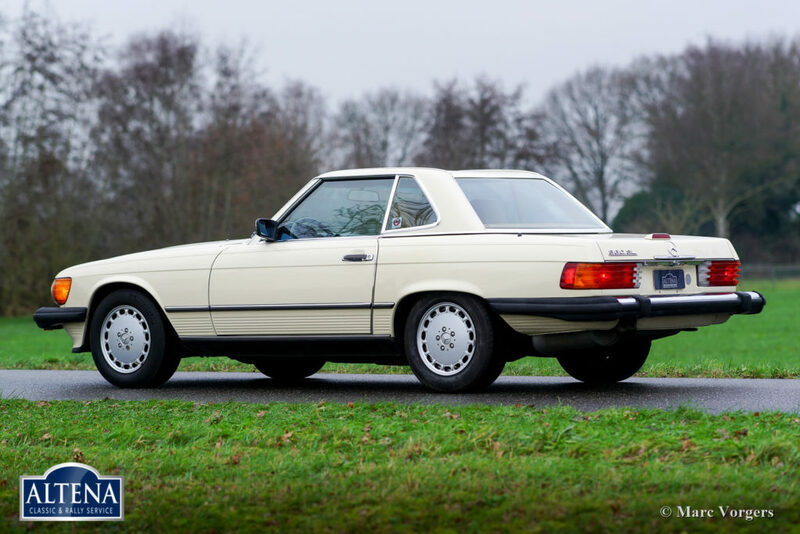 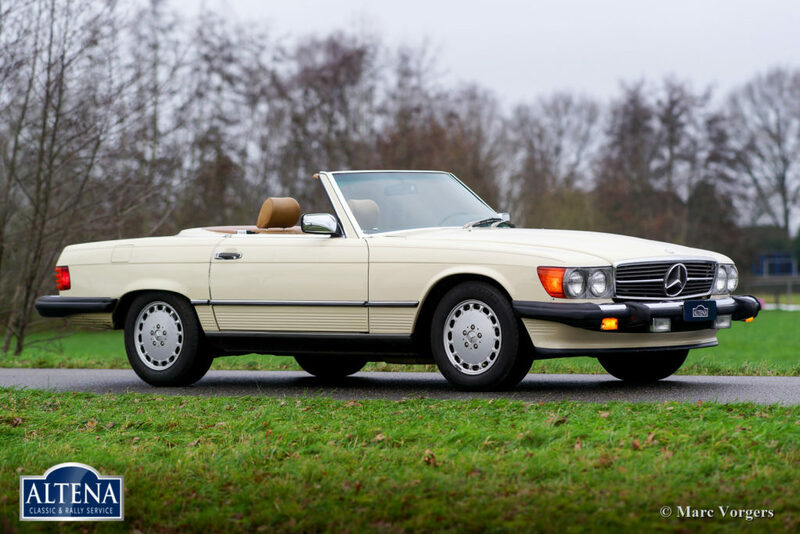 This R107 series SL comes from the last series and it features the powerful and very robust 5.6 Litre V8 engine coupled to an automatic gearbox. 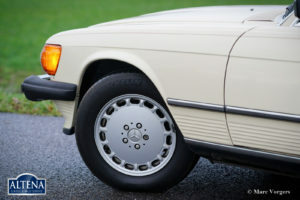 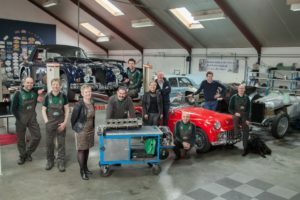 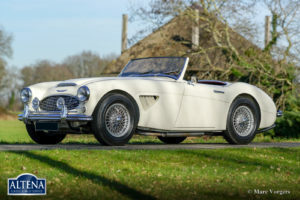 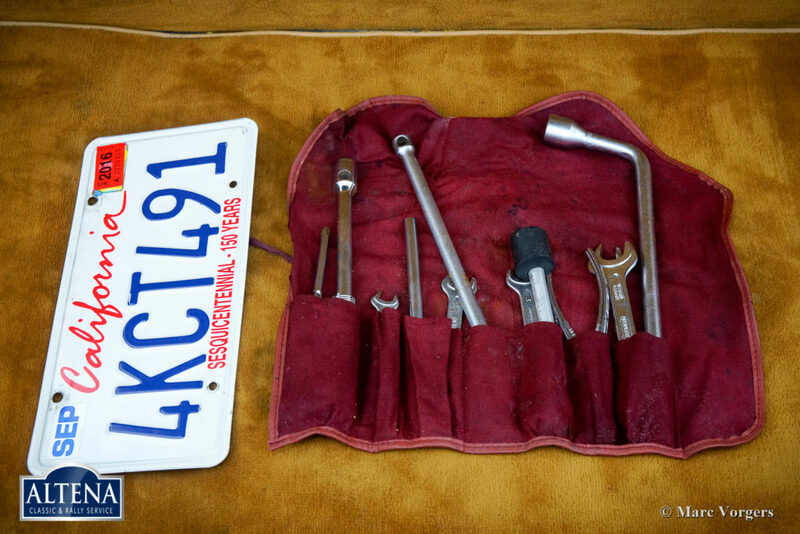 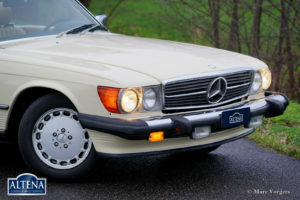 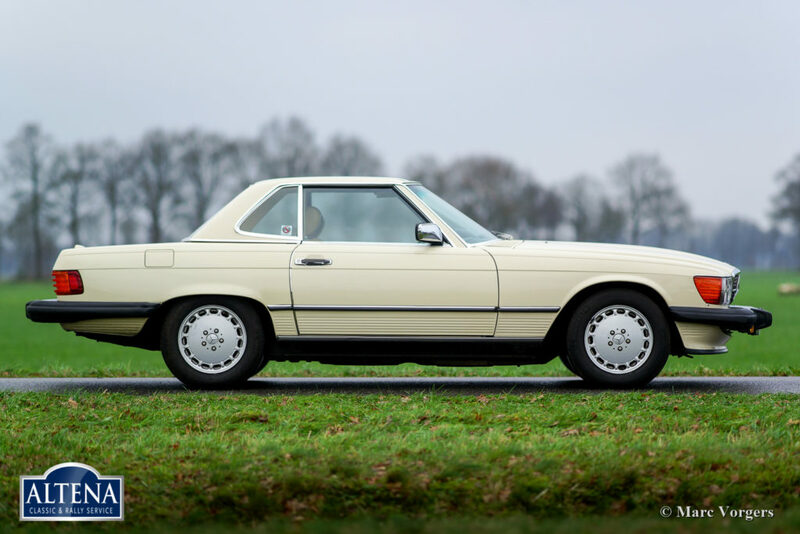 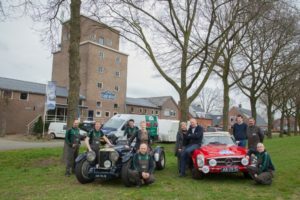 The car sports the original MB 16-inch light alloy wheels and it comes complete with the original owners’ manual and factory original tool-set. 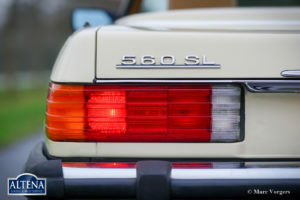 On special request, and at extra cost, we can deliver this fine 560 SL to European specifications. A very fine example!